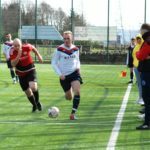 Red Star suffered another defeat on Saturday against table-topping Castlemilk at the Ropework, Lochgilphead. 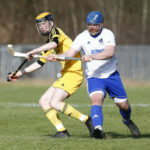 The home side knew they were in for a tough game against the Glasgow outfit and their cause wasn’t helped when they went a goal down after 10 minutes after Luke Kalache’s clearance was blocked by the Castlemilk defender and bundled home. Star shot themselves in the foot again soon after when Kalache’s clearance fell short and the Castlemilk forward rounded the otherwise excellent keeper to put his side in a commanding 0-2 lead. 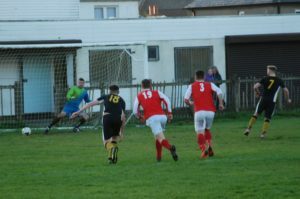 Star tried to battle their way back and went close when Aaron Moore rattled the crossbar with a header before the break, but the visitors went in two goals to the good. 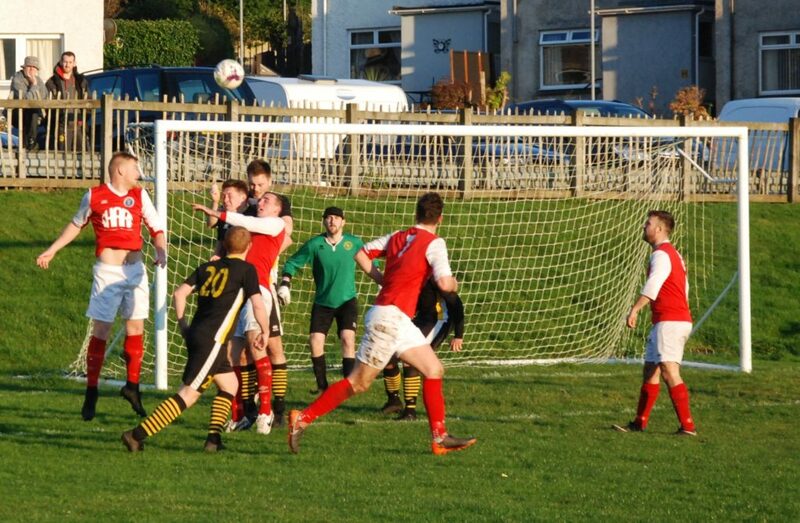 Castlemilk made the points safe with 20 minutes to go when Naisby was adjudged to have fouled the forward who stepped up and scored the penalty off the post to make the score 0-3. 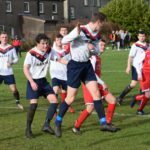 Worse was to follow for Star as Castlemilk added a fourth late on and Star suffered a fifth successive defeat.